We believe in a customer-centred approach to aggregate and concrete supply in Collingwood, and all of Simcoe and Grey County. At Flesherton Concrete Products, we are a family-owned business that is committed to a customer-centred approach when it comes to providing concrete and aggregate supplies. Whether you are a homeowner with a residential landscaping project or an industrial client completing a major construction contract, you’ll find just the services, supplies and solutions you need with us. For over 30 years, we have worked to provide high-quality concrete and aggregates for projects of any scope and size, and for a number of applications in the Collingwood, and surrounding area. We believe that the quality of our aggregates can make a big difference in your project outcomes, and knowing that the company you choose is ready and able to assist you will only make it easier to achieve success. When you work with us, you will find that we listen to your needs and can supply you with the concrete and aggregates that truly help you achieve your goals. 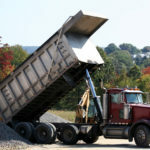 If you need aggregate delivered to your project site, at Flesherton Concrete Products, we make it easy to get the supplies you need. We have two ready-mix plants, located in Stayner and Flesherton for your convenience, which serve the Simcoe, Grey, and Dufferin county areas. You’ll never have to shop around town or settle for concrete and aggregates that aren’t exactly what you require. Simply let us know how we can assist you, and we’ll work with you every step of the way to supply you with the products that work best. If you have questions about our concrete and aggregate products, contact us at Flesherton Concrete Products today for more information. We look forward to assisting you.